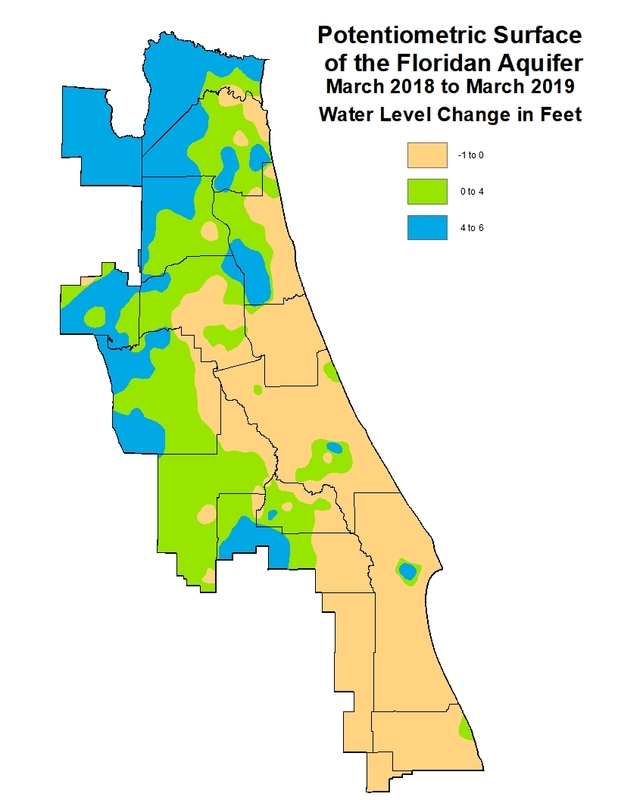 The hydrologic data collection program of the St. Johns River Water Management District collects, processes, manages and disseminates hydrologic and meteorological data that are used for consumptive use permitting, water shortage management, establishment of minimum flows and levels, water supply planning and management, environmental protection and restoration projects, and operation of district flood control facilities. The program is staffed and managed by the Bureau of Water Resource Information. The bureau operates and maintains more than 2,000 monitoring stations throughout the district and processes data from approximately 350 additional sites collected by county and municipal agencies through mutual agreement or by the U.S. Geological Survey under contract to the district. More than 8 million measurements are collected, verified, processed and stored each year. These data are disseminated to district staff and are made available on this page. Data is retrieved from several sources, including but not limited to, federal, state, county and municipal agencies and other water management districts. In no event will the district or the contributing agencies be liable for any direct, indirect, incidental, special, consequential or other damages, including loss of profit, arising from the use of these data, even if the district has been advised of the possibility of such damages. Monthly is a rolling 30-day average through the prior day. Annual is a rolling 365-day average. 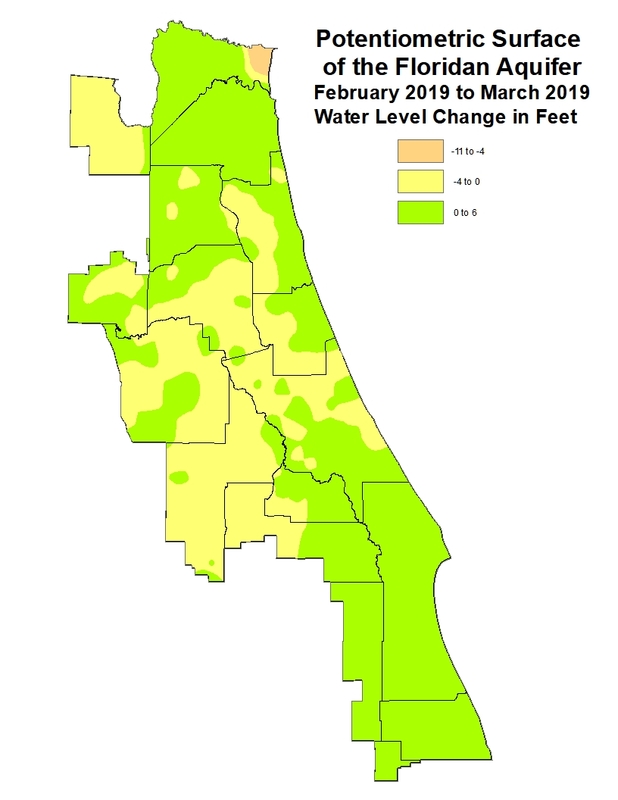 Rainfall amounts come from the district’s network of rain gauges and may not necessarily reflect rainfall for a specific location. 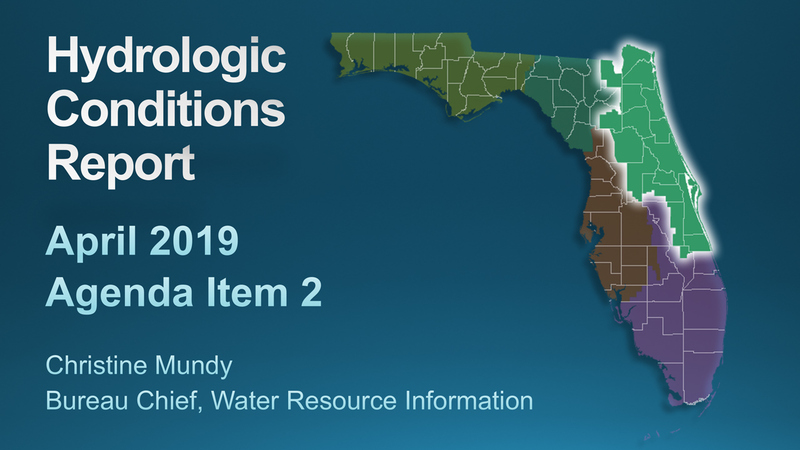 If you have questions concerning these data, you should contact the Bureau of Water Resource Information at 386-643-1991, the district at 800-451‑7106 or by email at hydrodata@sjrwmd.com. 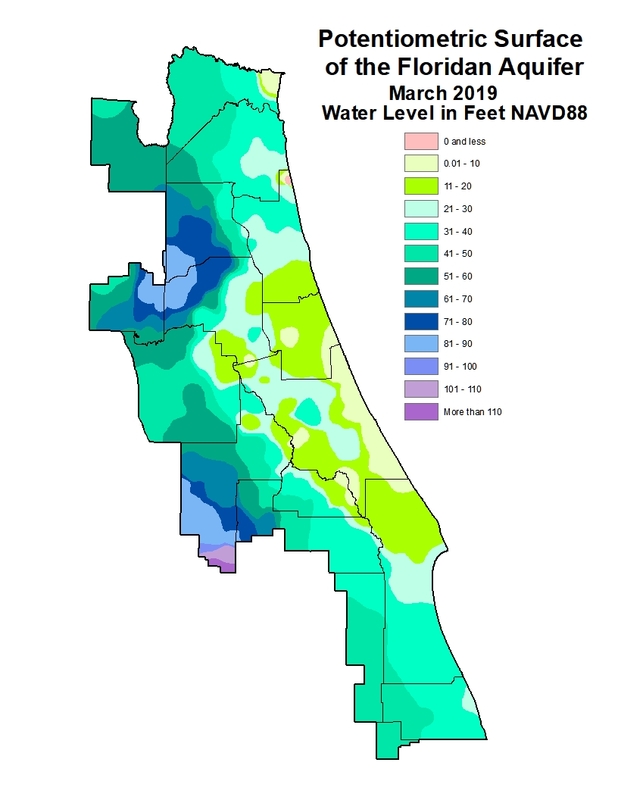 Controlled water level information for selected areas of the Upper St. Johns River and Upper Ocklawaha River basins is accessible via the links below. To comply with federal mandates and to ensure consistency with other state and local governments, the district is in the process of converting how it measures and reports elevation data. The former system, known as “mean sea level,” is officially known as the National Geodetic Vertical Datum of 1929 (NGVD 29). The new system is known as the North American Vertical Datum of 1988 (NAVD 88). The St. Johns River Water Management District develops stage discharge ratings for springs from graphical analysis of current-meter discharge measurements from various monitoring stations on vary­ing schedules and made over a range of stages and discharges. Shifts in measure­ments can be short- or long-term and can be caused by changes in the streambed, vegetation growth, backwater conditions and other variables. Archived data pro­vided are shift corrected, incorporating the mathematical adjust­ments for rating. The shift adjust­ments are applied to the individual ratings as measured data be­comes available, resulting in an adjusted rating. Flow data posted as part of the springs stage dis­charges page is provis­ional and subject to change.